On this show Dr. Heidi Horsley and Dr. Gloria Horsley talk with Chris Blake the chief operating officer of “First Candle”. They discuss the work of the foundation in saving babies’ lives, spearheading research, educating new moms and dads, and bringing hope to grieving families. Brooke Smith of Knot My Baby also appears on the show and talks about the death of her full-term baby in utero and how “First Candle” provided her with compassionate support. Dr. Christiane Manzella, clinical director of Seleni, a New York based center, is also a guest and discusses Seleni’s help in providing women with reproductive, bereavement and maternal mental health services. I’ve just read the Time article to get a smrumay of the author’s thinking. 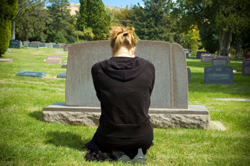 As a clergyperson for almost 30 years, I’ve seen a number of people live through loss and grief in a variety of ways, and have done so myself. I have found that people often experience the feelings that Kubler-Ross’s identified (as well as others), but it is been clear to me for many years that we do not expereince those feelings in systematic stages, but rather in unpredictable roller-coaster fashion not unlike the oscillating graph shown on this site. My own (admittedly anectodatal) take on grief is that the plethora of intense feelings we typically have for some period of time are the psyche’s way of honoring the importance to us of the person (or job or marriage or ) that have been lost. Once we have done that to the degree each needs, we are ready to move on in our lives. What I continue to observe is that while the varieties of approaches to grief process described and debunked in the Time article are widespread in the culture, it is also the case that in practical terms our culture often leaves little space and time for grieving. People are routinely expected to be able to return to normal functioing, especially in the work world, within a week or two of a major loss as if nothing significant had happened. There seems to be a disconnect between the possibly over-developed psychological approach to the inner work of grief and an under-developed acknowledgement in the public world of the functional challenges that people in the early, intense time of grieving often face.